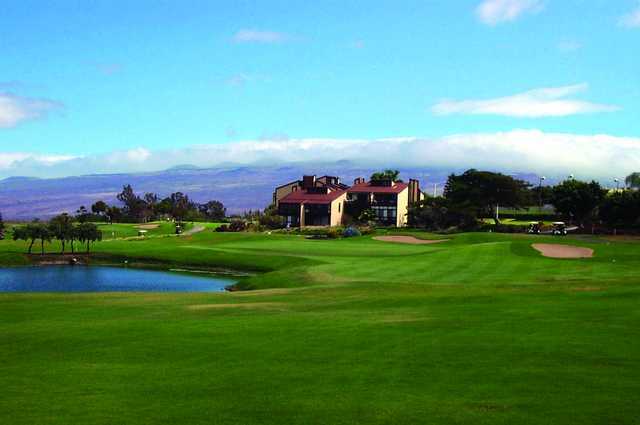 Waikola Village Golf Club sprawls across the foothills of Mauna Kea, overlooking the beautiful Kohala Coast. Robert Trent Jones Jr., inspired by its location, sought to preserve the natural features of the course while creating additional challenges that were unique to the island landscape. 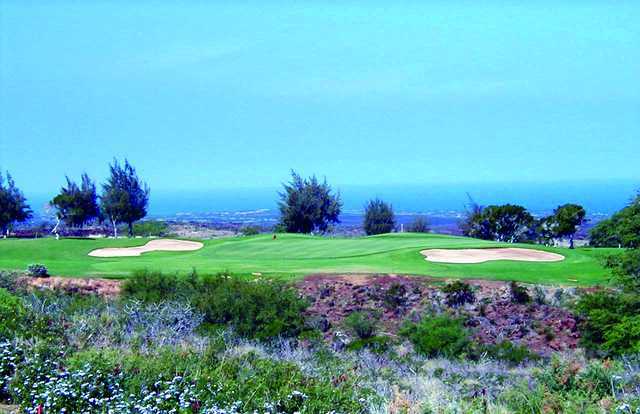 Nestled between the Mauna Loa and Mauna Kea volcanoes, Waikola Village Golf Club has a beautiful and unique location that overlooks the Pacific Ocean. The verdant, rolling terrain is dotted with stands of young trees and lakes that were incorporated into the golf course’s design. 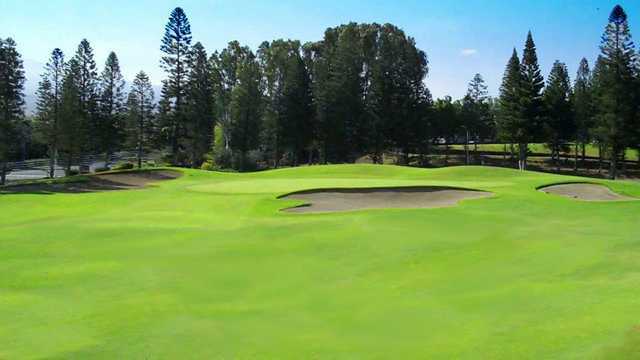 Robert Trent Jones Jr., the course’s designer, tried to maintain the natural assets of the landscape while adding a few challenges such as fairways bunkers and doglegs. The golf course also features traditional raised greens that are subject to forceful prevailing winds. Although the course is challenging enough for the serious golfer, the relaxed pace and beautiful scenery appeal to players of all skill levels. Locals often consider Waikola Village Golf Club one of Hawaii’s best-kept secrets. Course is in great shape and staff was awesome. My wife and I golfed this course on a recent trip to Hawaii. Green fees were very reasonable for a tourist at $68. You can find cheaper using discount packages and such. A well maintained course with a very attentive staff. Tees were nice and greens were pretty smooth. Wind, wow, the wind. We played mid-day and the winds helped correct my slice. Lost my hat several times and the scorecard once. Interesting when you are not used to that much wind. But fun. Banji's restaurant at the course had great food and good beers on tap. We will definitely be back for another round. I did not golf there as I had wanted to we were called home early for a medical emergency. We ate there the night we were leaving with another couple before the airport. It was what we all decided the best meal taste, presentation on plates, selection & prices in our 1 1/2 weeks there staying at the Hilton Resorts. If we would've ate there earlier we would've eaten there at least 3 x we decided. I had some kind of clam soup ( special that night) & it was fabulous tasting. I had asked for the recipe to be emailed to me & took a card so I could email the chef but lost it with all our medical things that happened. I am so hoping he or she sends it. I know if I make it it will never be the same but hoping I can get it at least close or the name of the soup ( it was a meal in itself) & I had the fish taco superb . 2 had the steaks & the thoroughly enjoyed them. The other person had another dish that was superb . So glad it was the last meal we had there & not from another place. Thank you & keep your chef as I hope he is paid very good. spectacular views. course always in great condition. A very nice layout with great views down to the ocean. 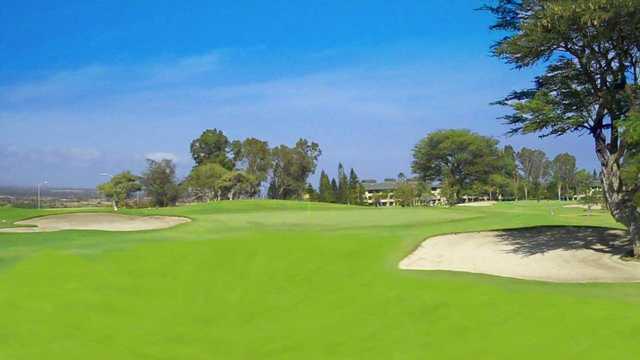 Interesting holes and very good conditions plus a good deal through GolfNow, a must play for the Big Island. The only downside is the gravel in the bunkers but given the trades probably nescessary. played this course and it was very inexpensive... but enough of a challange for the novice. You will not be disapointed thought is winds thru a resort community and it is not directly on the ocean... it has some spectacular views of the ocean and of Mauna Kea and Mauna Loa. Their staff was very helpful and extemely polite mahalo!